For the first time since 2005, Pixar will go a year without having a single movie out, forcing you to find some other way to enchant and inspire your damn wiener kids, as well as your inner damn wiener kid. The decision is perhaps not surprising, coming as it does on the heels of Bob Peterson being removed as the director of The Good Dinosaur, and various other Pixar principals being assigned sections of the film to finish—a team effort that’s put a considerable strain on the studio. 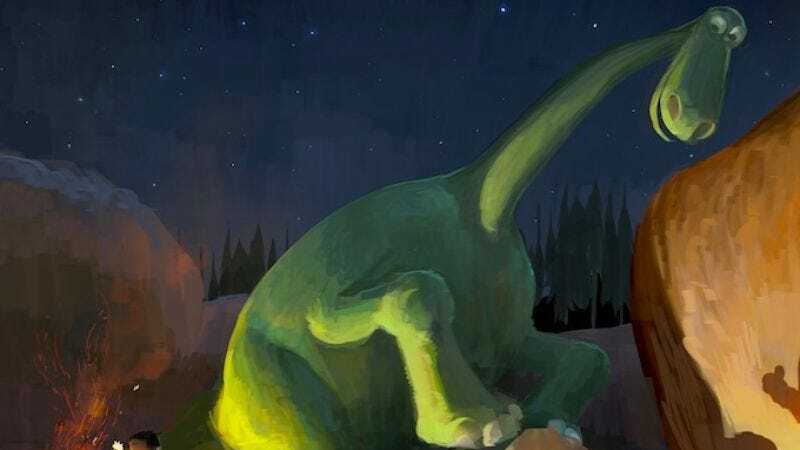 Moving The Good Dinosaur from its May 30, 2014 date to Nov. 25, 2015 will, as Pixar president Ed Catmull tells the L.A. Times, give it the space necessary to fix the problems that necessitated Peterson’s removal in the first place. (“Nobody ever remembers the fact that you slipped a film, but they will remember a bad film,” Catmull said, presumably while looking at a poster of Cars 2.) But it also forces Pixar to shuffle the Finding Nemo sequel Finding Dory from November 2015 to June 17, 2016. (Pete Docter’s Inside Out is still scheduled for June 19, 2015—for now.) Pixar will spend its 2014 of isolation working hard to make sure all these titles are the best they can be, all to the tune of a wistful yet hopeful Randy Newman ballad.